By: Bill Malkin, a real charitable dude. Tomorrow night, GBNJ will be loading our legendary NJ- Ecto-1 and heading down to Xfinity Live to support 93.3 WMMR radio hosts Preston and Steve for there annual Camp Out for Hunger. 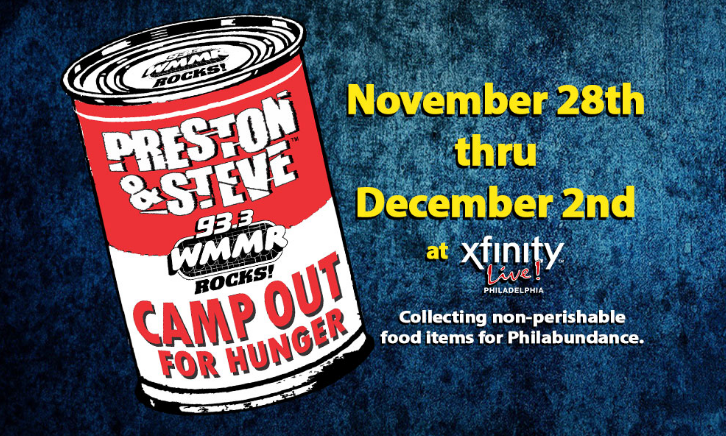 If you have the time gather any and all non-perishable food items and head down to Philly and drop off your donations. We will be there at approximately 6pm, but charity is not about self promotion, it is about giving back and this time of year we need to think about those less fortunate than ourselves, so you can donate at any time as well as through your local Acme Supermarkets.